Dennis Lettenmaier, distinguished professor of geography at UCLA, was awarded the Robert E. Horton Medal by the American Geophysical Union. The union is dedicated to advancing Earth and space sciences for the benefit of humanity through scholarly publications, conferences and outreach programs. Lettenmaier was recognized for his achievements and contributions to the field and will receive the award during the union’s honors tribute meeting in December. Lettenmaier’s interests focus on hydrologic modeling, hydrology and climate interactions and hydrologic change. He is a fellow of the American Geophysical Union, the American Meteorological Society and the American Association for the Advancement of Science. 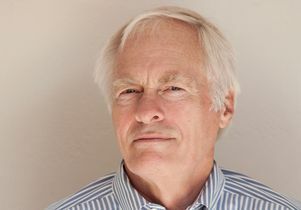 Dennis Lettenmaier, distinguished professor of geography at UCLA.